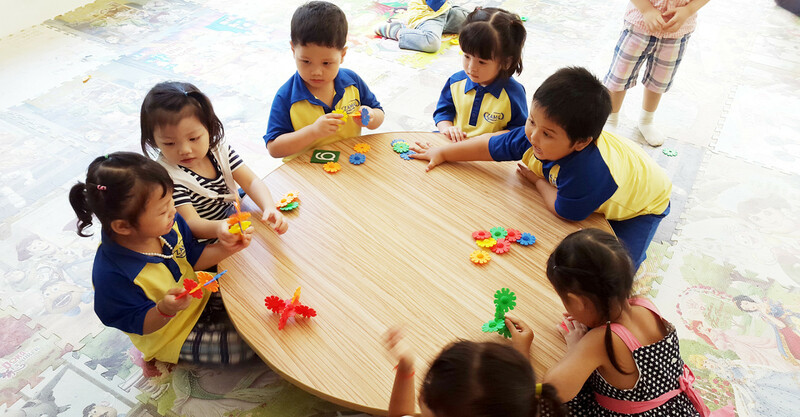 The nursery school recognizes play and direct exploration as basic learning tools for preschoolers. Play experiences designed to facilitate learning in the school setting are basic to the early childhood curriculum. Through play, children express and develop themselves in many areas. Our knowledge of child development serves as a guide for providing appropriate and meaningful activities in art, music, language and basic readiness skills.